Wine alcohol by volume percentages have been steadily increasing in recent years. Potential causes could be climate change, resulting in warmer weather and riper grapes. The higher sugar content in ripened grapes result in more alcohol. Viticulturists have also been able to use improved technology and industry knowledge to properly ripen grapes to their full potential. They have cultivated this practice in response to consumer trends and preferences. 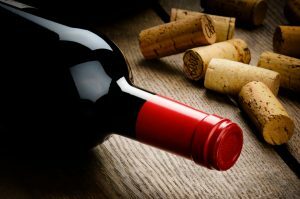 Prominent wine critics, particularly the renowned Richard Parker, have suggested a favorability toward alcohol heavy products. This has equally caused an impression on wine rating apps, such as Vivino. The higher ratings are applied to stronger wines, causing a ripple in the trend. However, critics opposed to Richard Parker’s flavor profile argue that the high alcohol content deters from the flavor and style of the wine. They have suggested that the trend will soon fade, but perhaps it will only lead to a market fragmentation.